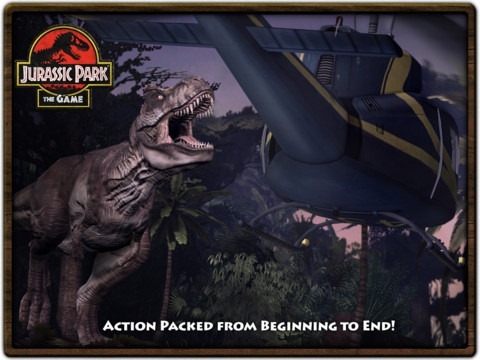 Fans of the Jurassic Park franchise will be delighted to know the sequel for the original iPad game is now available to download. Unfortunately, the game will only work on one Apple device, the iPad 2. Nima, Gerry and Jess head for the coast and are forced into taking a shortcut using the Bone Shaker, a rollercoaster ride that’s still under-construction. An InGen rescue team lead by ex-grunt Billy Yoder and his quiet, menacing buddy-in-arms Oscar search for Gerry and his daughter. The game takes advantage of the AirPlay mirroring feature on the iPad 2 with dual screen support. You can download the 317 MB app for $6.99 directly from the iTunes App Store. You can find the link in the end of this post. 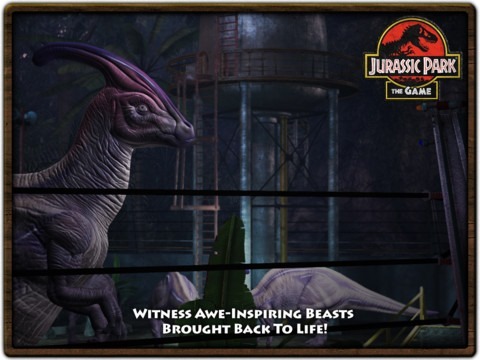 As you advance in your play through, you will encounter prehistoric dinosaurs that roam free throughout the park. The goal, of course, is to try to stay alive as you access new areas with dangerous dino-encounters while in Isla Nublar. The game promises action packed scenes from beginning to end and judging by the screenshots, it doesn’t look like it will disappoint. Get ready to feel old. Jurassic Park was released almost two decades ago, in 1993. Based on the novel by the same name by Michael Crichton, the film adaptation broke records, becoming the most financially successful film released at that time. 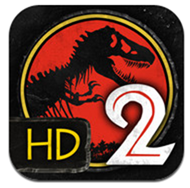 Two sequels have been released since, with a fourth currently in production and aimed for a 2013 release date. 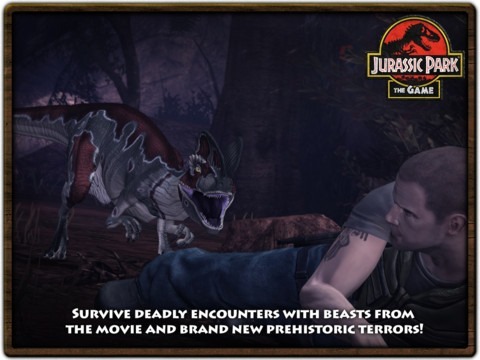 Telltale Games, the developer behind the Jurassic Park game has quite the successful portfolio, which includes games such as the Monkey Island series and the Back to the Future game. This latest submission includes improved graphics that take advantage of the iPad 2’s dual-core A5 processor, giving you a more intense experience. Reviews have not been submitted yet, so we eagerly await your thoughts on the new game. How does episode 2 stack up? Share your verdicts in the comment section of our Facebook and Google+ pages.